Ranging from bold European designs to traditional classics, the Alder Tapware collection combines beautifully crafted, clean and elegant lines with meticulous engineering, excellent performance, reliability and enduring quality. The taps are elegant, subtle and distinctive in looks - perfect for a contemporary or traditional bathroom, kitchen and laundry environment. The Alder Tapware collection includes METZA taps featuring a stylish square design; QUADRA taps with a solid masculine look; ZEN taps featuring a finessed style and acute handle; VERDE taps offering an elegant rounded timeless design in chrome and colours; AKITA taps with architectural sleek lines; NISEKO taps featuring a flared conical design; STAR MkII taps offering simple and classic styling; COMO taps featuring an inexpensive classic style; and RIO taps presenting a traditional classic sturdy form. The Alder Tapware collection consists of basin taps featuring square and curved styling with complementing square and curved spouts; bath taps in wall and hob mounted designs, with several bath spout styles and sizing options; shower taps in all styles to complement your shower and bathroom design; and laundry and washing machine taps in various designs to complement your laundry styling. 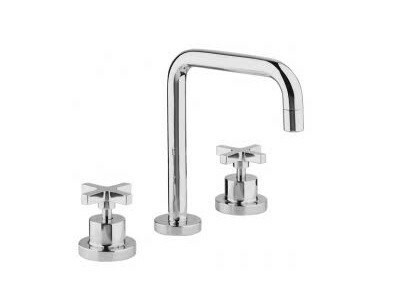 Alder Tapware also offers a complementary range of mixer taps, Aquazzone showers and bath fillers along with several accessories to provide the perfect finishing touch to your bathroom and kitchen design. Alder Tapware taps for bathrooms, kitchens and laundries offer reliability and enduring quality; jumper valve technology; ultra bright, durable polished chrome finish plus white and almond ivory colours with chrome or gold trim in the Verde range; and Australian Watermark Licence and WELS (Water Efficiency) 4 & 5 Star accreditation.